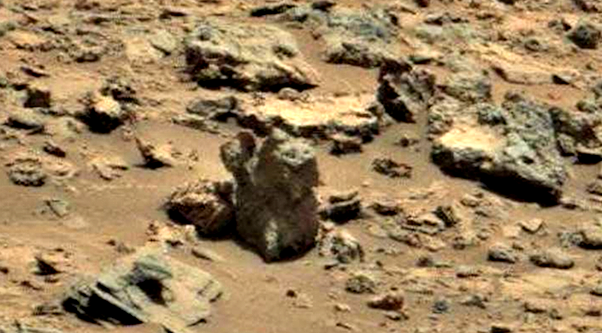 UFO SIGHTINGS DAILY: Cat-like Statue Found On Mars By NASA Rover, Nov 2015, UFO Sighting News. 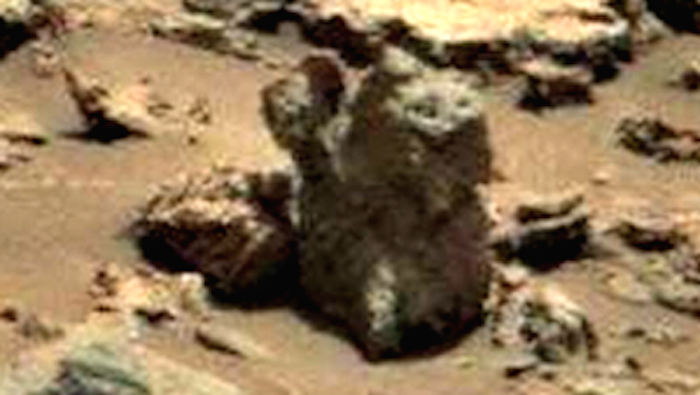 Cat-like Statue Found On Mars By NASA Rover, Nov 2015, UFO Sighting News. I found this really cool looking cat-like creature. 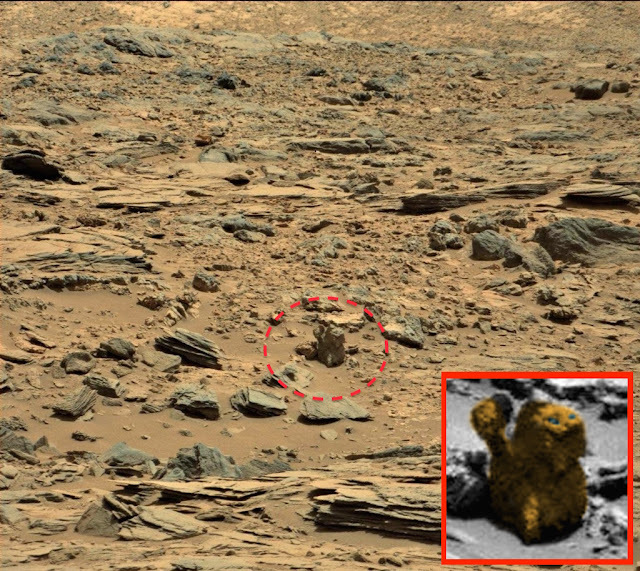 I call it a lion, but I am sure it was something else...an animal that once roamed on Mars. 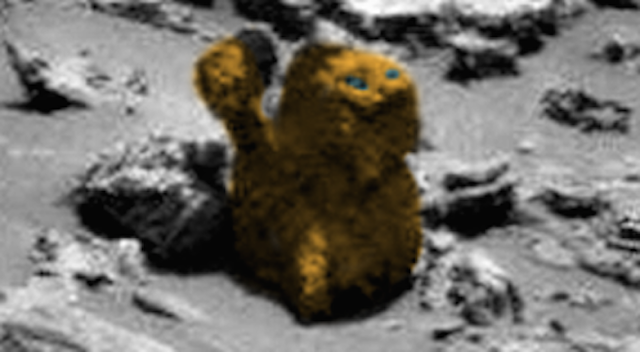 The creature has a big smile on its face, with a pronounced nose and two eyes. The animals tail is raised as if happy or alert. This is a statue, or a living creature that was turned to stone. Its not alive, but its has stood the test of time.